In an ongoing effort to Protect & Surf, Vissla and the Surfrider Foundation are proud to collaborate to help ensure clean water and healthy beaches for today, tomorrow, and future generations. 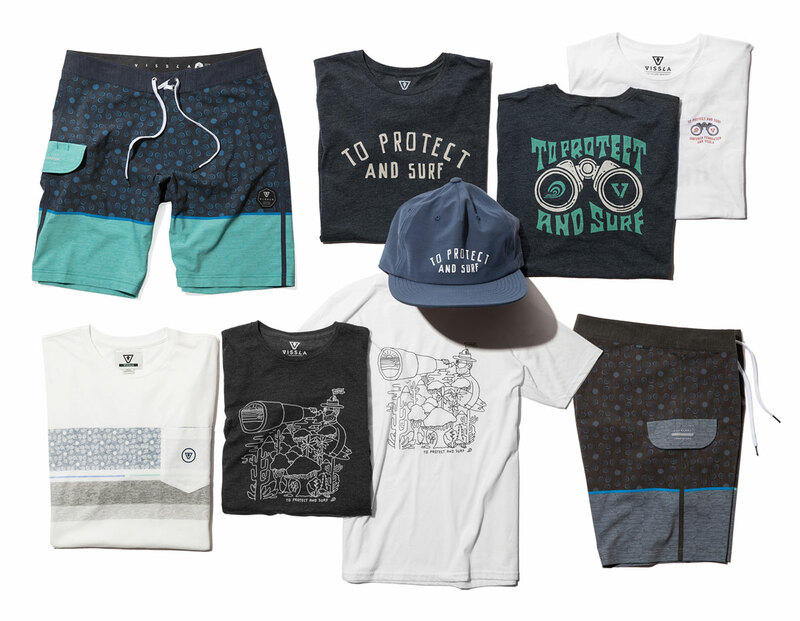 The Vissla x Surfrider To Protect & Surf collection is a fresh line of apparel and accessories featuring boardshorts in two colorways, four 100% organic cotton t-shirt designs and a hat. Turning waste into want, Vissla has innovated an eco-friendly coconut fiber material using a process called Cocotex® to turn overlooked coconut husks blended with Repreve® recycled polyester into a flexible, comfortable and durable fabric for trunks. This reduces the amount of waste in the oceans and in landfills, giving you style you can feel good about. Vissla is a young and bold surf line that came on the scene in 2013 and has been a proud supporter of Surfrider and member of the Surf Industry Coastal Defenders program since 2015. They represent creative freedom, a forward-thinking philosophy and a generation of creators and innovators. Embracing a do-it-yourself attitude within surf culture, performance and craftsmanship, Vissla propels a surf-everything and ride-anything mentality while maintaining a high standard for being an environmentally responsible brand. We would love for you to support this collection and share pictures of yourself Protecting & Surfing. Be sure to tag @visslasurf and @surfrider!